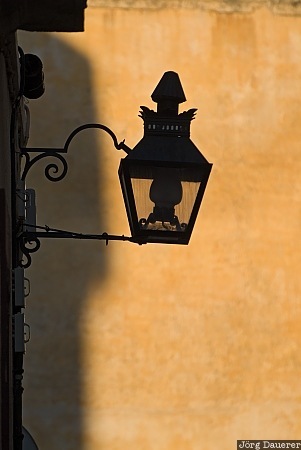 Silhouette of a street lamp in front of a yellow wall in Cordoba, Andalucia, Spain. This photo was taken in the morning of a sunny day in April of 2008. This photo is part of the exhibition Street Lamps (July 2008). This photo was taken with a digital camera.